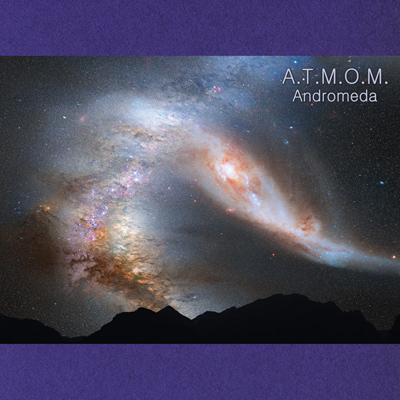 On ‘Andromeda’, A.T.M.O.M. opens vast reaches of spacey, wondrous and rich drones, like immense, low frequency waves across the dark and empty cosmos, singing majestic songs of planets, galaxies and ultimately – dust. Whoever pointed at the similarities between the far reaches of space and the vast reaches of the mind can mark another success in their comparison, as ‘Andromeda’ manages to not only open up infinite unknown reaches, but also play a meaningful, meditative experience in nine different sets of consciousness. While ‘Dust’ sounds like a lethal desert where nothingness reaches an almost shamanistic property, ‘Moonlight’s endless pads bring a suitable enchanting vision of the lunar light. ‘Plasma’, further away beyond our grasp, is an abstract echoing of long forgotten feedbacks and low drones. This interstellar voyage is a challenging and rewarding one. Like most, if not all of Zhelezobeton’s releases, the promising Andromeda is certainly something to gaze upon.